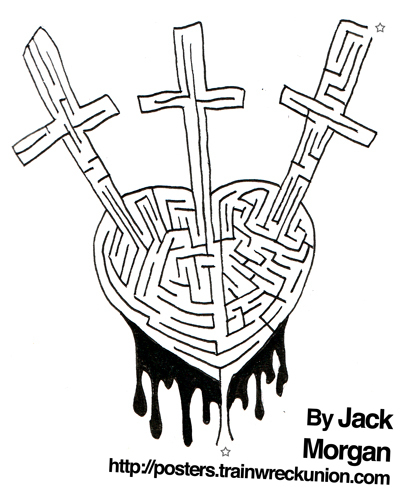 This is part of a rock and roll maze thing I'm doing for the Murder Bros. It will be awesome. There will be a CD in it, and we'll sell them at shows. If you want, you can print this one out here, and try it. If you have fun, let me know.